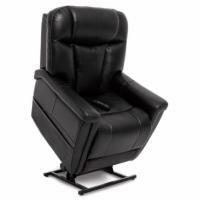 Pride Lift Chairs feature comfort, functionality, and elegance above and beyond what you will find in even the most expensive standard recliners. Browse the different lines of Pride lift chairs below or contact one of our lift chair experts at 1-800-504-9856. Best Feature: The LC-105 has a price that can't be beat. 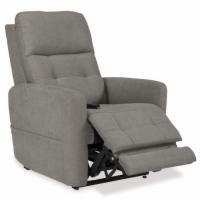 Best Feature: This lift chair has all of the basic features you find on Pride's higher end chairs, but with a lower price. Best Feature: The GL-358S is budget-priced and plush, and specially designed with smaller users in mind. 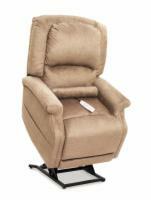 Best Feature: The GL-358M is an economical yet comfortable lift recliner that easily accommodates most average-sized users. Best Feature: The GL-358L is an affordable, comfortable power lift chair designed especially for larger-sized users. Best Feature: The GL-358PW is an affordable, comfortable lift chair for small users who prefer a wide seat. Best Feature: This model boasts a weight capacity of 600 pounds.